When Biscuit finds a little pup in the park, he wants the pup to play with him. But the little pup won't come over to look at Biscuit's ball or to chew on a bone. In fact, he won't come out of his cozy hideaway at all! Is the little pup lost? How will Biscuit get the little pup to come out? Can he help his new friend's owner find the little pup too? 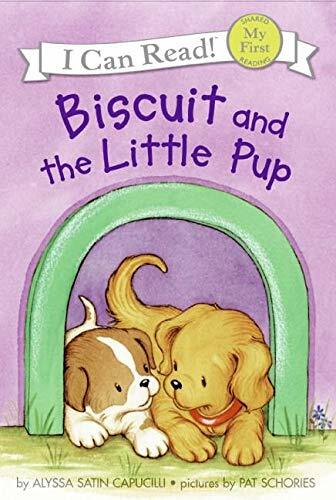 Biscuit continues to charm the hearts of friends old and new in this, his twelfth adventure for the youngest of readers.